Each control has been audited by an independent third party and is an integral part of our overall risk management assessment program. As a PRIVACY+ Certified records management company, DeVries Business Services is committed to protecting the privacy of your information. 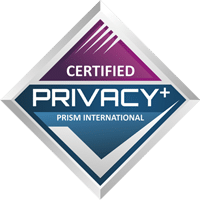 To learn more about our PRIVACY+ Certification, please contact us by phone or complete the form on this page.